Ever sat and wondered, what is my Hebrew name? Wonder no more! 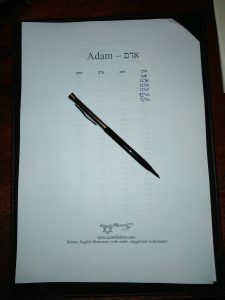 Have me (ahem, a real human), write your name in Hebrew and cut off any doubt with automatic translations and hours of research. This is a wonderful gift for your loved ones on whatever special occasions they might have! 1: A translation of your name and a simple explanation of how the name was translated. 2: A JPEG file of your name (an image) in case your computer fails to read the Hebrew alphabet. 3: Customized Hebrew worksheets of your name, so you can learn how to write your Hebrew name easily without help. (Please choose the upgrade upon checkout). Brenda D. from Oklahoma, USA. I recently ordered a name in Hebrew. I was provided both a script and image of my name, both of which were accurate and beautiful. There was a slight mix-up in my order (I probably made a mistake.) Adam was very kind to promptly correct my order and send the name I originally desired. In addition, I was having some internet problems, and had difficulty receiving the email product. Adam was diligent in checking to see if I’d received it and repeatedly re-sent the email. I couldn’t be more pleased with either the product received or the service provided. Happy shopping and Shalom! 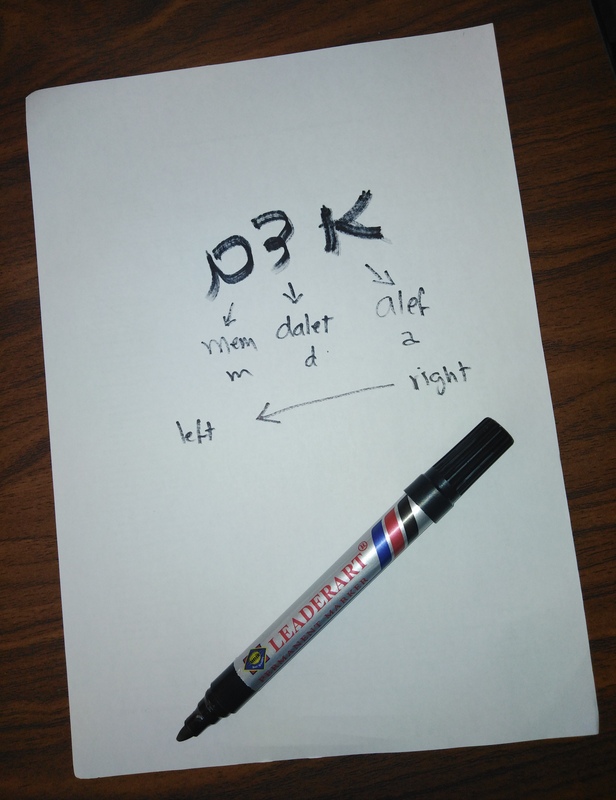 Have Me Write Your Name in Hebrew in ONE Step!